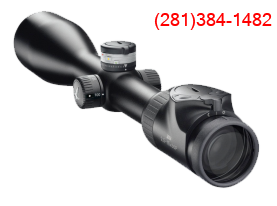 A Magnum version of the revolutionary and undisputable highest value long range precision shooter! Heavy-contour (.875″ at the muzzle) barrel features a Ruger Precision® Rifle Magnum Muzzle Brake with tunable compensator to effectively reduce recoil and muzzle jump. 18″ free-float handguard is made of hard anodized aluminum and features Magpul® M-LOK® accessory attachment slots on all four sides for improved scope clearance for long-range scopes and easy mounting of M-LOK-compatible rails and accessories. Handguard includes integral QD sling attachment points to eliminate the need for additional adaptors, a target-style flat bottom that improves stability and an integral bottom 1.50″ dovetail that is compatible with RRS S.O.A.R. and similar QD systems.